Leading businesses are creating and valuing entirely new forms of social and environmental business impact. These new forms of value require smart new metrics. Define your success in the new economy and discover expanded methods for identifying and measuring cost, risk and new forms of value this fall. What Will I Learn? Join global thought leaders and leading practitioners in Philadelphia this fall for three days of learning, conversation and collaboration via plenary sessions, breakouts, deep-dive workshops and the dynamic Activation Hub. Gain new tools for true-cost valuation and risk management while learning to manage the full range of sustainability risks and benefits, and more. Explore new research findings that help connect brand purpose with customer purpose in the pursuit of win-win scenarios, and more. Understand drivers of employee motivation and the value of employee engagement programs, find tools for job satisfaction and productivity, and more. Master conceptual frameworks, practical tools and case studies around innovating for social and environmental sustainability, and more. Discover innovative ways to study value chains, engage multiple stakeholders in the pursuit of sustainable supply chains, and more. Learn from Today's Change Agents Sustainable Brands delivers a faculty of world-class thought leaders and practitioners who offer diversity of insight and demonstrate tangible business results. Join these featured speakers and dozens more in three days of conversation, debate and practice. Philadelphia, PA An international center for academic higher learning and business innovation. The conference will be taking place in Philadelphia at the Loews Philadelphia Hotel. Discover our latest downloadable report, Reporting 3.0, which exemplifies how reporting can play a trigger function for necessary economic system design transformation. 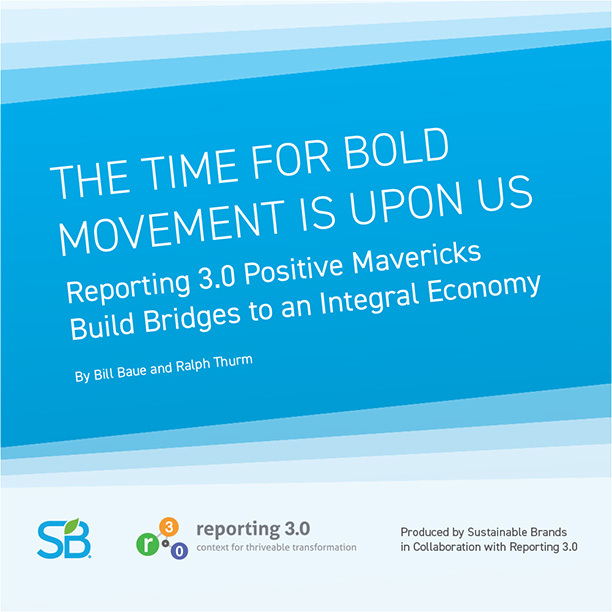 This new global framework for sustainability reporting is meant to spur a necessary, aggressive movement toward transformative change by transcending and including existing reporting initiatives.